In addition to the innovative productions, enjoy backstage tours, free exhibitions and a variety of restaurants, cafes and bars. For Sunday and holiday opening times see website. Audio-described performances and touch tours are available for visually impaired people. Captioned performances are available for deaf people and those with partial hearing. Enjoy a variety of cafés, restaurants and bars, perfect for daytime or pre-performance drinks and light meals. House offers a modern take on classic dishes while Terrace Restaurant offers small sharing plates. Plus, visit craft beer pub The Understudy for a range of draft beers, wines and cocktails. 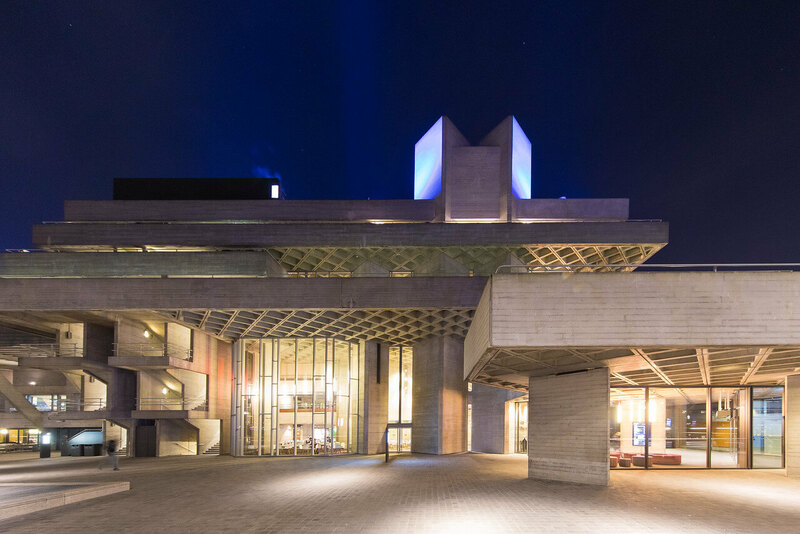 The roof of the National Theatre is home to approximately 60,000 bees; they keep bee hives to promote the declining bee population and sell the honey in the National Theatre shop. The Royal National Theatre was founded at the site of The Old Vic in 1963 until it found its permanent home on the South Bank in 1976. Sir Denis Lasdun is the architect behind one of the countries most celebrated brutalist buildings. Sir Laurence Olivier was the theatre's first Artistic Director in 1963. It's completely free to access the Sherling High-Level Walkway, which offers visitors views into The National Theatres busy backstage area.The walkway is high above the production workshops for set construction and assembly, scenic painting and prop-making.